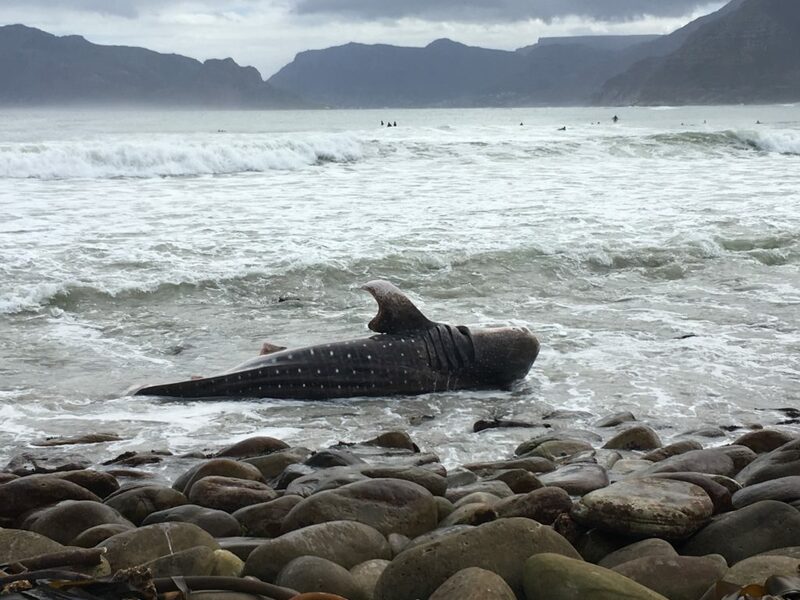 A deceased juvenile whale shark (Rhincodon typus) has washed ashore in Kommetjie, a truly sad sight to behold this Monday morning. Reports coming in from the water are that a couple of surfers witnessed the big fish slugging through the lineup, looking distressed. Moving with the currents more than anything before it eventually washed up on the rocks where it remains. The cause of death is yet to be confirmed. Local authorities, SANPARKS and NSRI are all on the scene where they will carry out the necessary procedures to ensure the safety of everyone in the water, which may see them pull the shark out to sea and let nature take its course. The NSRI are also considering launching a boat to sit out the back and keep an eye out for sharks that could potentially have picked up the scent of the fresh carcass. 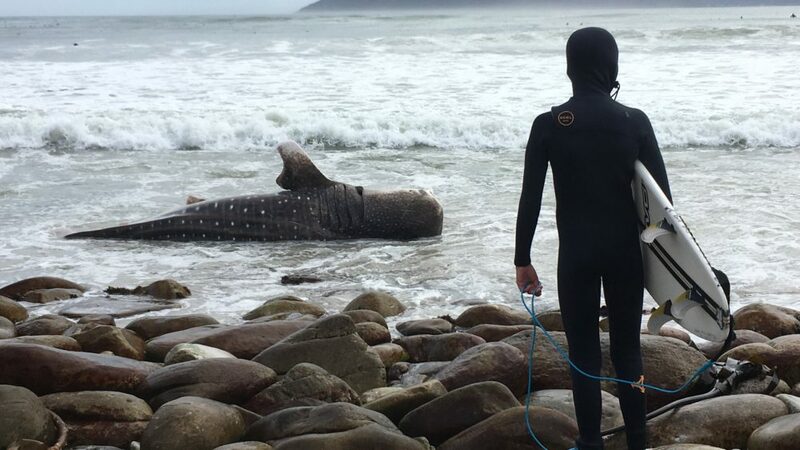 No matter the cause of death, a whale shark washing ashore is highly unordinary. It’s unusual even on a worldwide scale.